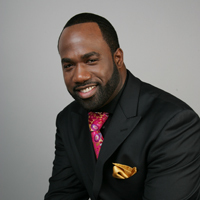 A native of Brooklyn, New York, Darryl Hill is the Senior Pastor of Powerful Praise Tabernacle in Brooklyn, New York. As a local pastor with a global mission, he and his family have been focused on building a strong church since 1999. Pastor Hill is anointed to reach the broken-hearted, heal the sick and transform lives. His vision for the body of Christ is to grow collectively, and unify for the cause of Christ.